Celebrities seem to have it all. They have dashing good looks, endless amounts of wealth, and constant attention. Add crazy cars to that list. It’s no secret that celebrities like to spend. Especially when it comes to cars. Some of their cars are so lavish that they put the most expensive cars ever to shame. Other celebrities are a cautionary tale. They show that big money doesn’t necessarily translate into great cars. We all know celebrity cars are pretty crazy (and get wrecked in crazy ways, too). But not all of them are awesome-crazy. Check out these 10 surprising facts about celebrity cars. Read on to learn more. Flo Rida is known for making gold records. He’s also known for having a gold car. That’s right – Flo Rida’s Bugatti Veyron Super Sport is wrapped in gold. The car is the fastest in the world and can reach a top speed of 267 mph. Apparently, that wasn’t enough for Flo Rida. He wrapped the white car in chrome before switching over to gold. He also paid a cool $2.7 million for the luxury vehicle. Flo Rida may have the most expensive celebrity Bugatti, but Lil Wayne was the first celebrity to famously own the vehicle. Lil Wayne is known for having a wild collection of celebrity cars. It wasn’t until 2010, however, that Lil Wayne’s car collection was put on the map. That’s when he bought a Bugatti Veyron for over $1 million. He referred to it as the “Barack Obama of Bugattis” and even released a freestyle rap about the car in 2013. Some celebrities were born into wealth. They’ll never know how to change their own oil or deal with a crooked mechanic. Paris Hilton is one of those celebrities. Case in point – her $220,000 Bentley Continental GT. This monstrosity is the Pepto Bismol of luxury vehicles. It has a pink exterior, pink leather seats, a pink dashboard, and even pink wheels. There are a lot of words that can be used to describe Kanye West. Humble is not one of them. Kanye was put on the celebrity cars map when he received a $750,000 Lamborghini Aventador from Kim Kardashian. The all black Lamborghini closely resembles the Batmobile – and it has the sticker price to match. Kanye was so into the car that his song “Mercy” is filled with references to his beloved vehicle. Everyone loves Jerry Seinfeld. It’s why Seinfeld reruns will live on long past the fall of society. Seinfeld put his syndication money to good use by purchasing an epic Porsche collection. His collection was so impressive that he raked in over $22 million when he auctioned off 17 Porsches in 2016. His most expensive piece was his Porschenull 550 Spyder. It sold for over $5.3 million at the auction. Not bad for a stand-up comedian. Something about J-Lo tells me she doesn’t spend a lot of time on Car Blog. Jenny from the Block seemed like a perfect candidate to promote any car. But things didn’t go so smoothly when she represented Fiat in a series of 2011 ads. The advertisements went viral for all the wrong reasons. J-Lo was shown driving the Fiat 500 around the Bronx. The ads were intended to show J-Lo returning to her roots and driving a luxury car around her old neighborhood. Only it wasn’t really the Bronx. The ads were criticized for being filmed elsewhere and for being overly cheesy in their portrayal. Sadly, the launch was a commercial disappointment and the ad campaign was halted. Luckily, the cringeworthy YouTube videos live on forever. Hulk Hogan made an illustrious career off of winning in the ring. But his Dodge Viper shows that he can’t always be a winner. Vipers are already easy to spot. 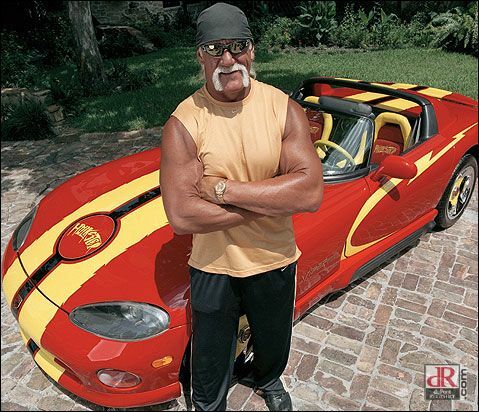 That didn’t stop Hulk Hogan from customizing his car into an eyesore of epic proportions. His Viper is decked out in red with yellow racing strips and yellow seat linings. It looks like the official car of McDonald’s. Hulk gets bonus points for having the word “Hulkster” written across the top of the front hood. Perhaps no celebrity is quite as divisive as Justin Bieber. 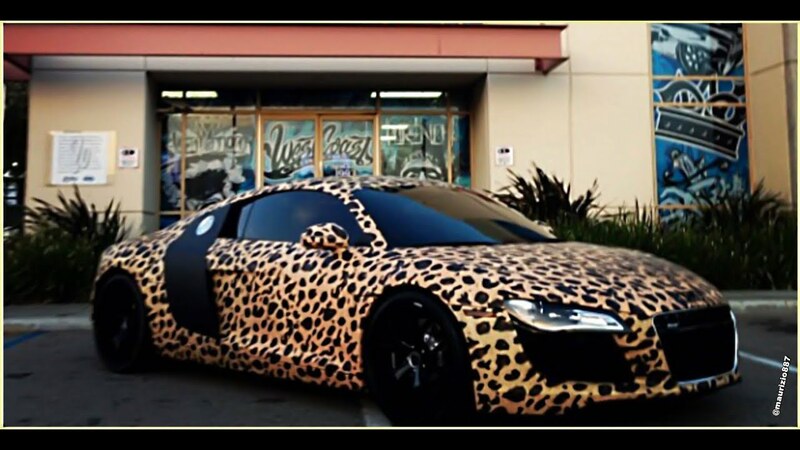 But even devoted Beliebers can’t get over his infamous Leopard-Print Audi R8. Bieber drew the ire of many jealous car aficionados for defiling the legendary car with a bad paint job. The R8’s exterior was covered in leopard-prints from front to back. Many cite it as exhibit A in the court of public opinion versus Justin Bieber. It also tops many lists of worst celebrity cars. Even casual fans of Jay Leno know about his extensive car collection. Jay Leno is the king of celebrity cars and it’s not even close. His collection is so famous that it even inspired the show “Jay Leno’s Garage” on CNBC. Leno store’s his cars at Leno’s Big Dog Garage, which is basically a series of hangars at the Bob Hope Airport. His collection is believed to include over 150 cars and motorcycles that are all licensed and ready to drive. Among his collection is a 1963 Chevrolet Corvette Stingray, a jet-turbine EcoJet, a 1925 Doble Steam Car, and a 1931 Duesenberg Model J Town Car. Leno won’t be needing any auto repair advice. He restores many of his cars along with a small team of devoted mechanics. Jay-Z has many accolades. He’s a successful rapper, businessman, and one of the highest selling musicians of all time. He also has one of the most expensive celebrity cars ever. His $8 million Maybach Exelero holds the title of the world’s most expensive road car. 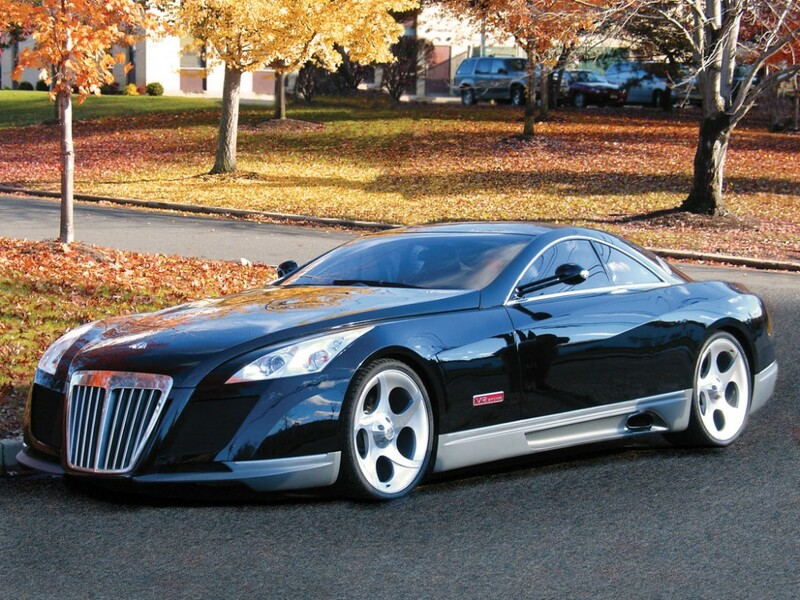 The elusive Maybach Exelero is believed to top speeds of 200 mph. It’s hard to blame him for showing off this ride in the “Lost Ones” music video. In total, his collection of cars is rumored to exceed $15 million. He’s also married to Beyonce. Jay-Z is one lucky man. There’s no shortage of words to describe celebrity cars. They’re lavish, extravagant, and even ugly. Perhaps the best word to describe them is crazy. Love them or hate them – celebrity cars are a spectacle to behold.